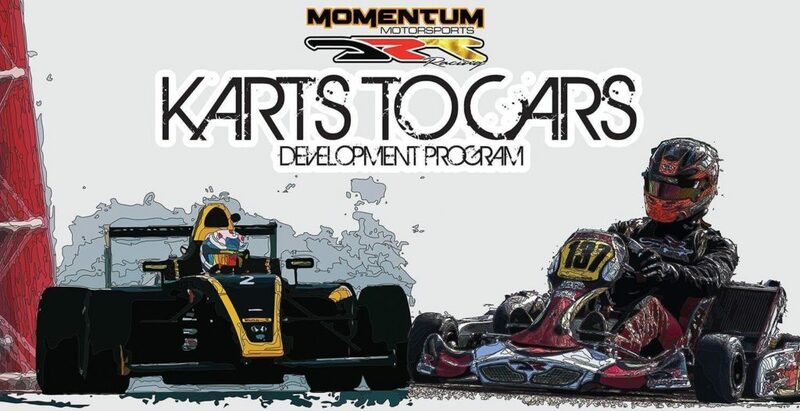 Momentum Motorsports, a leading team in the F4 United States Championship Powered by Honda, has joined forces with DRT Racing, a top-level karting program, in the formation of their much-anticipated Karts to Cars effort. A win-win program for all involved, the newly designed ladder is not only for young kart racers looking to make the next step, but also for the career minded driver working towards a race and championship winning formula car path. While many drivers and their families struggle with the next step from national level karting, DRT Racing and Momentum Motorsports are making it easy. Providing not only testing opportunities, an internal ladder, marketing and media programs as well as advanced level coaching and data and video analysis, the program offers kart racers a familiar face when they enter the world of formula car racing. The Karts to Cars ladder is multi-directional. While Momentum Motorsports can sign drivers at a young age to an early testing and development program, they can also send season-long F4 drivers back to karting to stay in shape, sharpen their skills and keep up to speed. Also, with exciting plans for growth in the future, drivers in the Karts to Cars effort will have the opportunity to move up in the world of motorsports beyond F4 with other yet to be announced programs.